The new FF5300 Flange Facer's patent pending, feed control system provides a host of benefits, decreasing cutting time and increasing the overall machining performance. · The FF5300 provides operators with a variable radial feed rate of 0.002 – 0.032 inches per revolution (0.05 – 0.81 mm/rev). 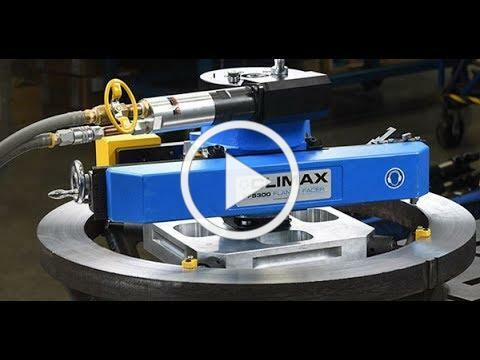 · Variable axial and radial feed rate control allows operators to easily adjust and set the feed rate of the cutting tool for consistent performance. · The location of the auto-feed system keeps operators' hands safe from moving parts and allows users to make adjustments without stopping the machine. Look no further! Forged from four decades of flange facing experience, the FF5300 Flange Facer provides unrivaled portable machining performance. Contact us today at +65.6801.0662 to learn more about the product.